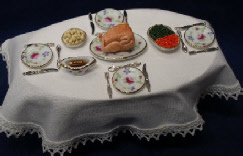 We have compromised the size and quality of some images for quicker download times. 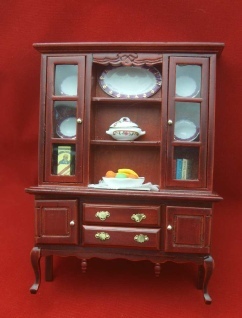 Here we provide further detail of selected items. 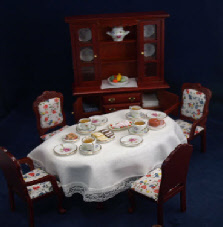 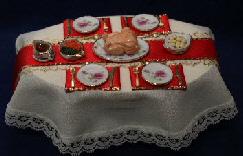 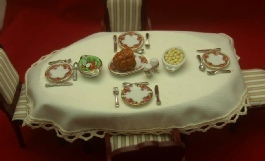 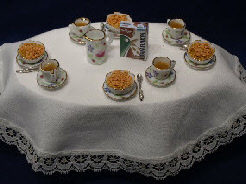 Individually dressed table, includes four chairs - (two carver), tablecloth, cereal bowls, side plates, knives and spoons, cornflakes, , “milk” in jug , and four cups of tea.